I learned that several famous authors received their original ideas by inspiration – from a dream or the like. So, many years ago, I prayed to receive an inspiration for a novel. The next morning I woke up with the first couple of sentences in my head, I saw it clearly: “Alpha, first letter of the Greek alphabet…Hello, my name is Alpha, I am trapped, please help me…” Alpha reached out to me from the ether and told me of her plight. So I received a tiny germ of an idea, just the first few sentences (I’m not including it all here since I don’t want to give the story away). The idea fascinated me, captured my imagination, sent a thrill through me. What will happen to Alpha? What happens in my story? What is Alpha’s story? I knew the book was like an old encyclopedeia with alchemical terms, like a Potions Class from Hogwarts. This novel is my answer to a deep desire to attend Hogwarts. Thus began my journey as I worked on my first novel, on and off, for many years. It required a lot of research, which I love to do. I struggled the most with finding consistent time to make myself work on it – the first challenge of all writers. I was also running a business, then started a second, and raising four teenagers. My auburn hair began to gray. But I continued working on my novel off and on for several years, spending the bulk of my time doing historical research and learning alchemy myself. Then I met full-time author Susanne Lambdin at GalaxyFest and attended her writing class. I shared my story idea with her and she became so excited she offered to write the blurb on the back and connect me with her book reviewers and network. Her excitement acted as a catalyst, getting me fired up about my story again and finally figuring out how to work on it consistently. 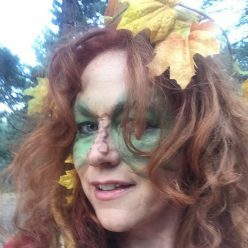 I started participating in the various NaNoWriMo goals throughout the year (National Novel Writing Month plus their virtual writing camps) and joined a more aggressive local writer’s group. They meet every other Monday night to give feedback on each other’s works, to learn the craft of novel-writing, and to push each other to write at least 2,000 words a week and get our books done. I was encouraged to stop researching and get the writing done – the research can continue alongside the writing. I had been stuck in the research hole for a long time so this was what I needed. I got serious with my writing and spent a year finishing the novel. Whew – I thought the main work was done. I was wrong. It took me two years of working on it steadily to revise and edit. I learned so much. Finally in June of 2018, I finished my novel and kept dancing all day. I’m now querying it out and one agent is reading it! 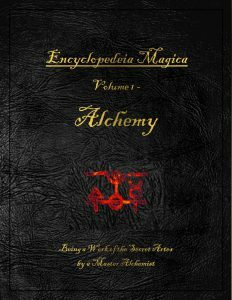 It’s called Encyclopedeia Magica: Volume 1 – Alchemy.